Ken Fletcher Park involved the transformation of a derelict industrial site in Tennyson into Brisbane’s newest riverfront parkland. The 2.9 ha community parkland was created by Bligh Tanner, Form Landscape Architects, Mirvac and Brisbane City Council. The park offers a rich community environment where locals and visitors enjoy its Brisbane River frontage, vast open spaces, play areas and barbeque facilities. Enhanced riparian planting, flood resilient design, re-purposed industrial remnants and an adventure play park top off this successful project. The site required filling to manage the difference in level between the river edge and King Arthur Terrace. The requirement to maintain DDA compliant levels for access footpaths whilst minimising the fill quantities was a significant challenge as most grades were at, or close to, maximum design tolerances. The design levels also had to tie into the existing powerstation structures, where these were reused. 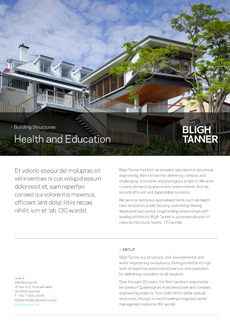 The site was modelled using Bligh Tanner’s 12D software to optimise these sometimes conflicting elements.